With winter well and truly underway in the northern hemisphere, I was planning to share a couple of wintery finds, however it seems that the exotic and less colder finds will rule. We start off far-eastwards and wind ourselves to the west keeping the Himal to our south then to pick up a couple from the southern slopes. Above Far-East Russia, below Kyrgyzstan, then on to Tajikistan. We remain in Tajikistan with these two photo's of the same Jylandi hot spring and then head to Wakhan proper (I believe). On the southern flanks of the Himal, a similar sounding Garam Chasma, but this time in Pakistan. Followed by two experiences from the Indian part of the Himalaya (below). 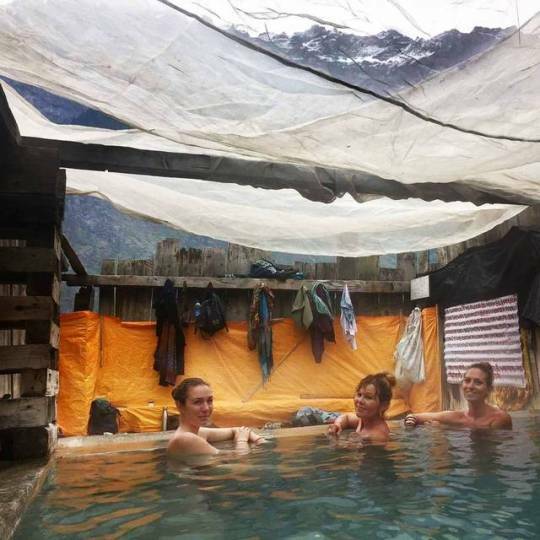 Continuing back eastwards, little visited hotsprings from Nepal. Above Jagat is on the way to Manang while below I will have to guess: guess that it's also Jagat? Above in Sikkim lower reaches (Legship), below the higher reaches at the end of Yumthang valley. Rounding off with a singular hot spring from Bhutan. Hopping over the divide a couple of finds from Sichuan.